How Can Telecom Companies Gain a Powerful Competitive Advantage? The Key Is Big Data and Analytics. An average telecom operator generates billions of records per day. Using this data in real-time, telecommunications companies can optimize their business and customer engagement models. Download this free white paper by Mind Commerce to learn what specific opportunities can be harnessed through big data and analytics. 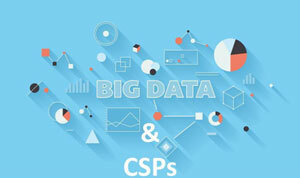 Other key topics include communication service provider (CSP) data records, structured and unstructured sources of CSP data, and challenges and opportunities for CSPs.